Reuniting a lost pet with their owner should only ever be a phone call away however, each year tens of thousands of lost pets cannot be returned home simply because their owners cannot be contacted. Bracing themselves for the busiest time of the year, shelters across Australia will be inundated with pets that have escaped and become lost due to fireworks, stormy weather and holidaying owners. National Pet Register Operations Manager Melaine Robinson said, while more people are identifying their pets with a tag and microchip, for many busy pet owners checking their pet’s identification usually fell to the bottom of the list of priorities, while others found pet identification confusing. Ms Robinson said many pet owners who have moved or changed phone number knew they needed to do something, but were not sure how to. Initiated by National Pet Register, ChipChecker is an easy one-stop-shop for pet owners to get on track with their pet’s identification. 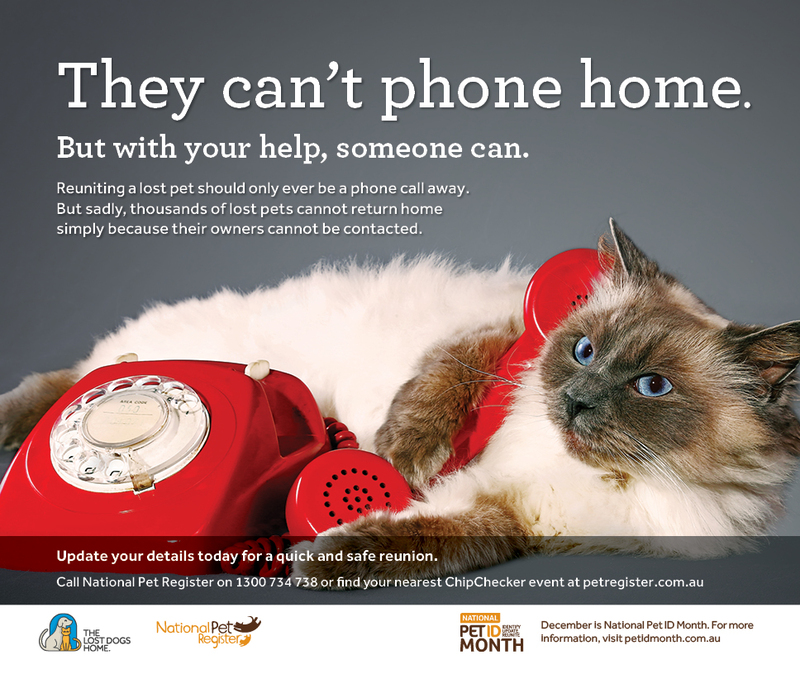 And, as part of National Pet ID Month this December, there is an event coming near to you! “Every lost pet deserves to be given the best possible chance of being reunited safely and quickly with their owners. We urge all pet owners to check their pet’s chip at a ChipChecker station or by contacting National Pet Register,” Ms Robinson said. 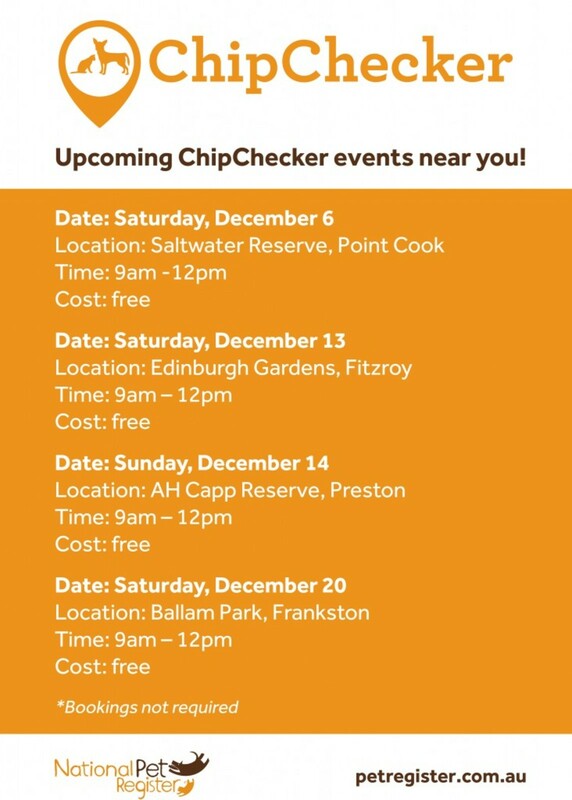 So far, ChipChecker has checked over 700 microchips since the initiative was launched during National Pet ID Month, 2013.